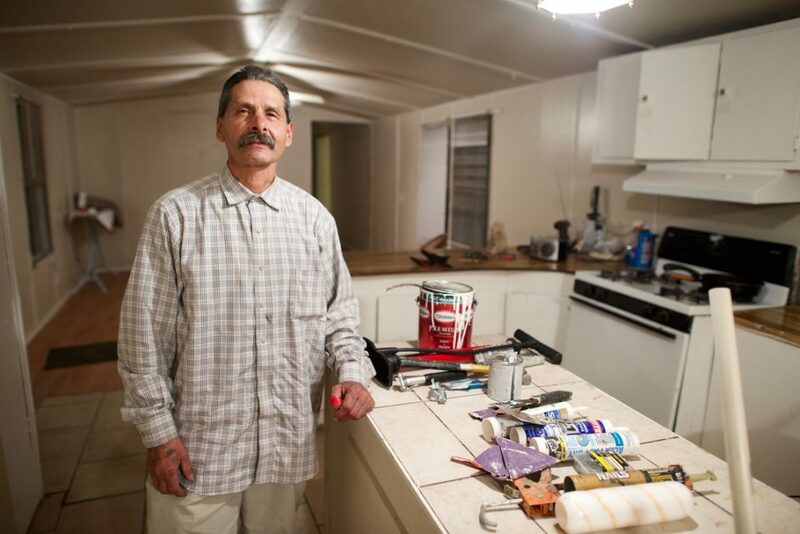 Gabriel Serna at work fixing up a neighboring home in Albuquerque’s South Valley. That’s because although the state’s inmates have the highest prevalence of hepatitis C of any group in New Mexico — more than four in 10 are infected — the prisons are hardly treating any of them: Out of some 3,000 prisoners diagnosed with the disease, just 46 received treatment for hepatitis C during the 2018 fiscal year. They are locked in for their crimes, but the life-saving medications they need have been largely locked out. Like most people with hepatitis C, he couldn’t pinpoint when he was infected — most people who contract it do not experience immediate symptoms and may be unaware they are carriers for years. Scientists didn’t even identify the virus until 1989, at which point prevention efforts like screening it at blood banks could begin, so the baby-boomer generation that came of age before then has five times the prevalence of hepatitis C of younger adults. New Mexico’s prevalence is particularly high: researchers estimated that as of 2010, nearly one in 40 of the state’s adult residents were infected, 60 percent higher than the national average. And nowhere is the concentration higher than in the state’s prisons, where as of January 2019, 44 percent of people screened positive, according to corrections officials — the highest known share of any correctional system in the country. A set of New Mexico Correctional Department guidelines from June 2018 indicated that they restrict treatment to inmates free of major disciplinary infractions for at least 12 months, on the argument such behavior “indicates an inability or unwillingness to comply with regular programming.” Even a history of multiple minor infractions, as irrelevant to health as “abusive language or gestures,” can exclude a patient from treatment. Gabriel Serna describing rejection of his requests for Hepatitis C treatment in prison. Without new resources, the corrections department will continue to pass the buck, leaving prisoners to seek care on their release from outside clinicians. This, at least, it does commendably, by pre-enrolling inmates in Medicaid so they are insured as soon as they are freed. 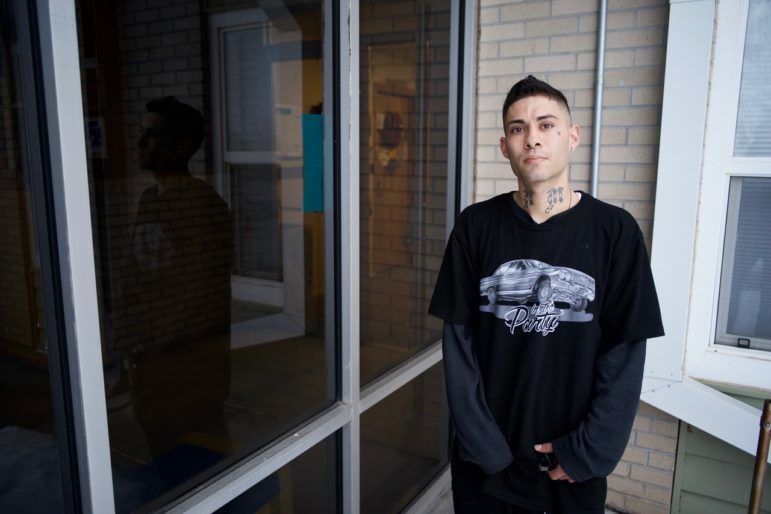 It’s how Serna finally got treated: on his departure from the penitentiary, an acquaintance put him in touch with a nurse, Debra Rockey, who gave him an appointment that same day. She is happy to see people immediately upon their return from prison but the tumultuous period of reentry can be a risky time to start a course of treatment that demands regularity to successfully eliminate the virus. In several instances, Rockey began treating patients who were then re-arrested, interrupting their therapy midway and threatening to foster drug-resistance. “I would actually get their medication delivered to the clinic and then make the drive out to the jail to give them to the nurse there to see if they could continue the treatment,” she recalled. One such client successfully completed therapy, but two were unable to do so. In the first major ruling on the matter in November 2017, a federal judge in Florida ordered the state to accelerate prisoners’ access to treatment, at a cost of hundreds of millions of dollars. 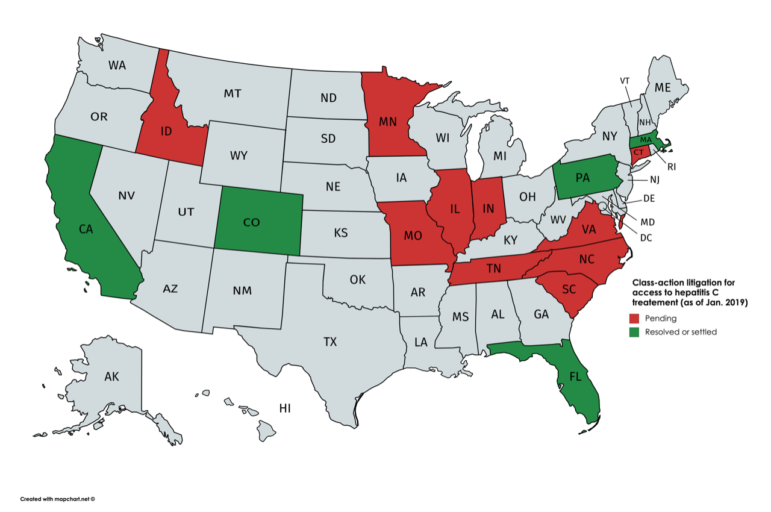 Soon after, Colorado settled a lawsuit and agreed to allocate $41 million in new funding to treat all people with hepatitis C currently under its custody, and Massachusetts and Pennsylvania quickly followed. A handful of governors, including New York’s Gov. Andrew Cuomo and Gov. Jay Inslee in Washington, have preempted litigation by committing to provide universal treatment in their prisons as part of strategies for eliminating hepatitis C statewide. Recently she met with the local chapter of the American Civil Liberties Union, which has filed public records requests seeking information about the state’s treatment practices, according to its legal director, Leon Howard. They are watching the actions of Democratic Gov. Michelle Lujan Grisham carefully, and should she fail to act, litigation is a real possibility, they said. Last week, Lujan Grisham named Julie Jones, who oversaw Florida’s prisons, to lead New Mexico Department of Corrections. David Selvage, Health Services Administrator with the Department of Corrections. Last fall when a Massachusetts jail refused to give a prisoner access to the medication-assisted treatment he had been prescribed on the outside, a federal judge issued an injunction. Sally Friedman, a vice president at the Legal Action Center, a national group that advocates for sound public policies toward addiction, called the decision “groundbreaking” in an email, and wrote that “corrections officials nationwide should expect to see more litigation like [it].” Lawsuits are already underway in Maine and Washington state. Drive a rural highway, particularly in the colder months and at dusk or after dark, and the primary road game often comes down to dodging deer. Each year, drivers lose that fight, and vehicles collide with animals at least 1,600 times, according to New Mexico Department of Transportation.